Extending Parking Meter Hours.... boosts business! With the SFMTA Board's approval of extending parking meters to Sundays from 12 noon to 6pm, many folks will need to either pay to park on Sundays, or find their residential district spaces if they don't want to pay and park. Most folks, as well as businesses are likely to grumble, or even cry foul that charging for parking on Sundays will hurt business. In Seattle, parking meter hours were extended from 6pm to 8pm. Many businesses, especially restaurants with their low margins, call out meters as business killers. Sightline Daily has put together a great analysis that shows that the affected restaurants are doing better! 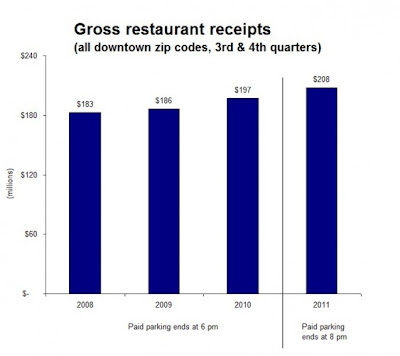 Comparing all downtown gross receipts finds that when paid parking ended at 6pm, gross receipts were between $183 and $197 million for restaurants. In 2011, after the paid parking was extended to 8pm, restaurant receipts went up to $208 million. 1) Do you pick the restaurant where it's HARD to find parking and includes a stressful 15 minute search, but the parking is free? 2) Do you pick your preferred restaurant, and it's pretty EASY to park right away, but you have to pay a few dollars to park? We here would take the great restaurant and headache free approach. In many cases, a dinner for four that can run you $120, will cost you a $24 tip. A movie afterward will cost an additional $40. Parking will likely only cost you $20 max - and that's less than your tip. It's not the parking that decides where you eat or shop, it's the many other factors: the price of dinner and movie, the ambiance and service, the possibilities to do other things in the neighborhood, and the ease of getting there and parking. Evening metered parking makes it easier to park. Like the survey done by you.I would like to go for the place where it is free to park.As spending so much for parking on every Sunday,our monthly budget gets disturbed. I'm a bit confused by your comment. Are you writing from the point of view of a parking customer or from a valet parking operations point of view? Yeap! I just got this. I haven't been here in Seattle since most of the time I'm at San Francisco now and I was shocked when I got my total bill and looked it up in Google now and saw your post. Oh well, there's nothing I can do I guess but cheers to Seattle's feature! About your question, we'll it's hard to park or not I pick a restaurant where it satisfies my craving stomach. But taking too much time just to park may give a great effect if I pursue eating on that restaurant. So I guess it depends if I'm tired or I really want something that only that restaurant can satisfy my hunger. 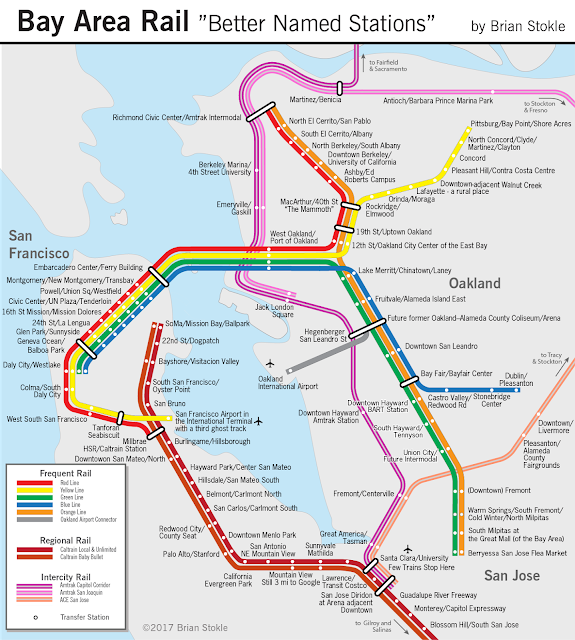 Good thing at San Francisco though, there's this public parking where I usually park my car and they're pretty affordable and convenient too. They're near to hotels and in the Fisherman's wharf so it's pretty good parking for me. 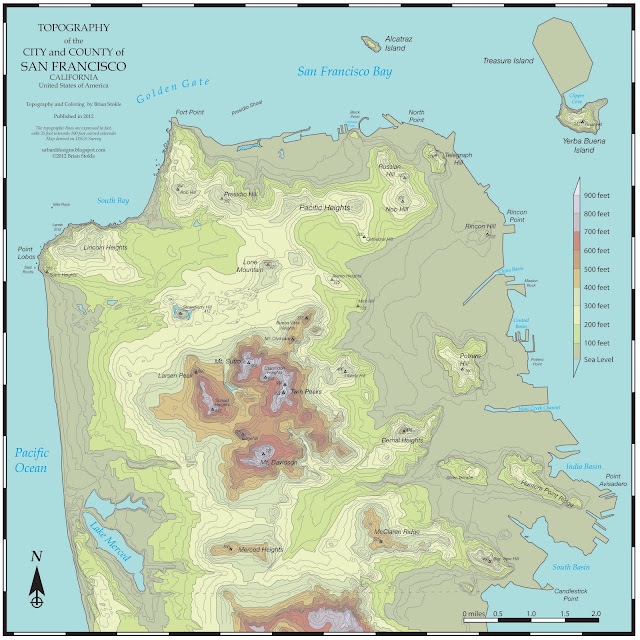 I also book my parkiing with them through their website at proparksf.com and I highly recommend them if you're going to San Francisco and want to park your car in this area.